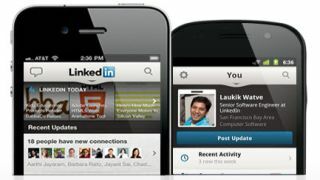 Reports are surfacing that hackers have revealed over six million LinkedIn passwords on a Russian web forum. The BBC reports that hackers published a file full of encrypted log in details and told the community to have at it. There's no confirmation that all passwords have been decrypted although Finextra claims that around 300,000 of them have been, but it is probably worth LinkedIn users changing their passwords to be on the safe side. The business-focused network hasn't confirmed the reports yet, but tweeted, "Our team is currently looking into reports of stolen passwords. Stay tuned for more." Update: Investigations by security firm Sophos have revealed that, "the file does contain, at least in part, LinkedIn passwords." Sophos' senior technology consultant Graham Cluley adds, "It would seem sensible to suggest to all LinkedIn users that they change their passwords as soon as possible as a precautionary step. "Of course, make sure that the password you use is unique – in other words, not used on any other websites – and that it is hard to crack. If you were using the same passwords on other websites - make sure to change them too. And never again use the same password on multiple websites." The possible password hack comes hot on the heels of controversy over the network's iOS app which appears to be accessing way more information from handsets' calendars than necessary. These include meeting location, invitees and notes, although LinkedIn reckons it doesn't store any of this information on its servers, saying in a statement: "We do not share or use your calendar data for purposes other than matching it with relevant LinkedIn profiles."